Cat wine does not contain alcohol, but instead has catnip, which has a psychoactive effect on many cats. Around 50% of cats are sensitive to the effects of catnip, kittens are not sensitive to catnip until they are around 3 to 6 months old. If your cat is sensitive to catnip they will also be sensitive to cat wine. 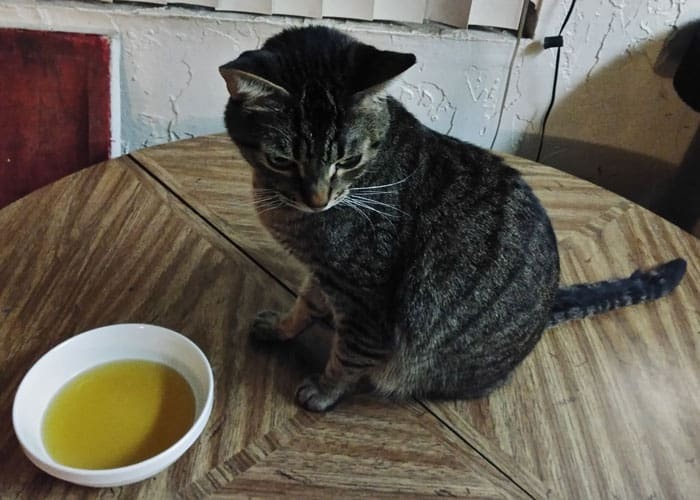 You might want to try giving catnip to your cat first to see if they have a reaction before going through the process of making the cat wine.